Three-floored stone based multi-deck tube ovens allows you to bake the big range of bakery and flour products of excellent quality with excellent flavoring characteristics. Special system of steam pipes used as the heating elements , which located at the bottom and top of the floor. It makes working inside the camera creates the optimum temperature for uniform and balanced preparation of bakery products. For each furnace tier system provides individual steam for each. Watch the cooking process can be through the door of heat-resistant glass. If necessary, the furnace in this series is very easy to dismantle, which greatly facilitates their transportation. Individual system of supply of steam is provided for each floor. It is possible to watch preparation process through doors from heat-resistant glass. 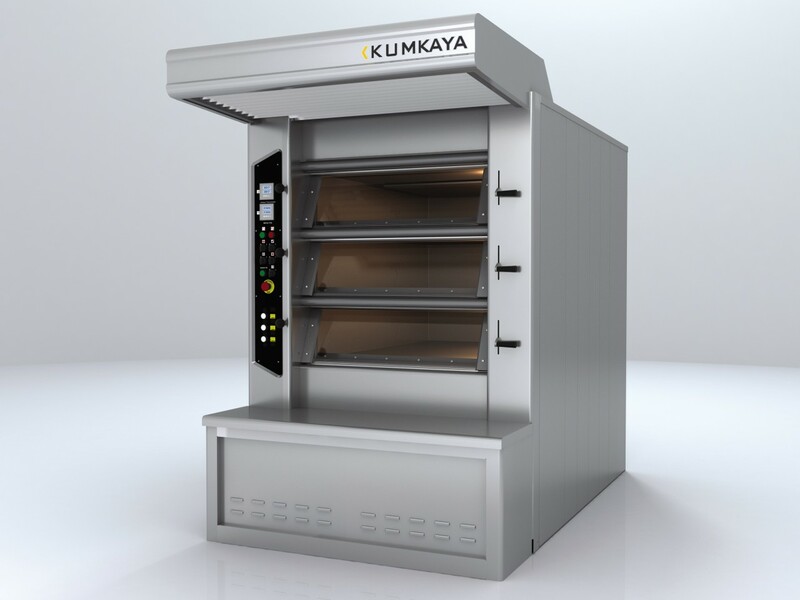 If you need, the ovens of this series are very easy to dismantle, which greatly facilitates their transportation. Keep up to date with the latest innovations and news. Subscribe to our newsletter.